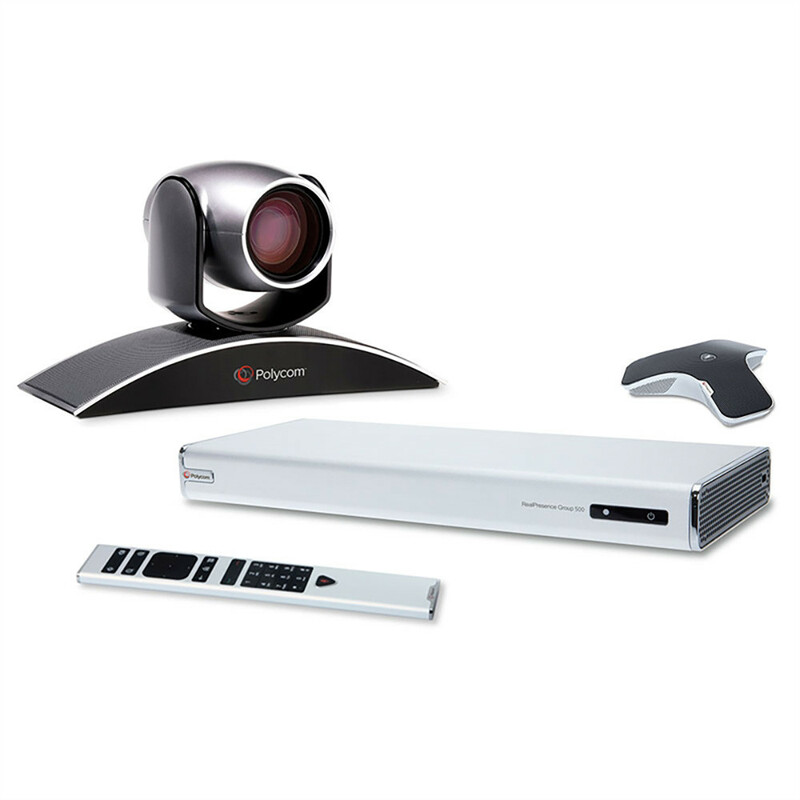 The Polycom Group 500 system comes complete with Polycom Eagle Eye Acoustic Camera, Polycom Group remote, and cables. 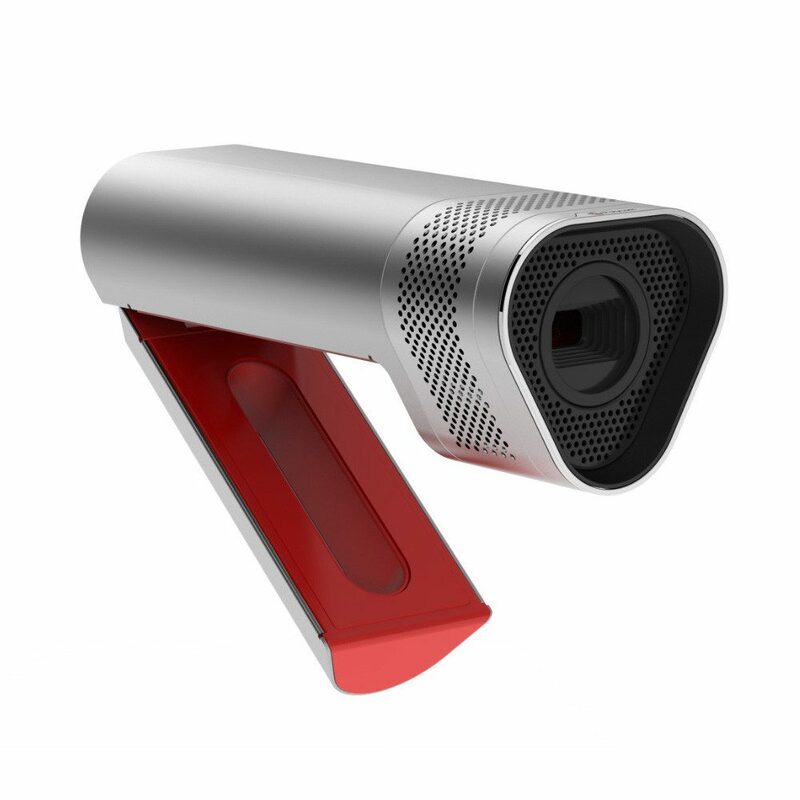 The 1080p EagleEye Acoustic camera has an stereo embedded microphone and 2x electronic pan-tilt-zoom. 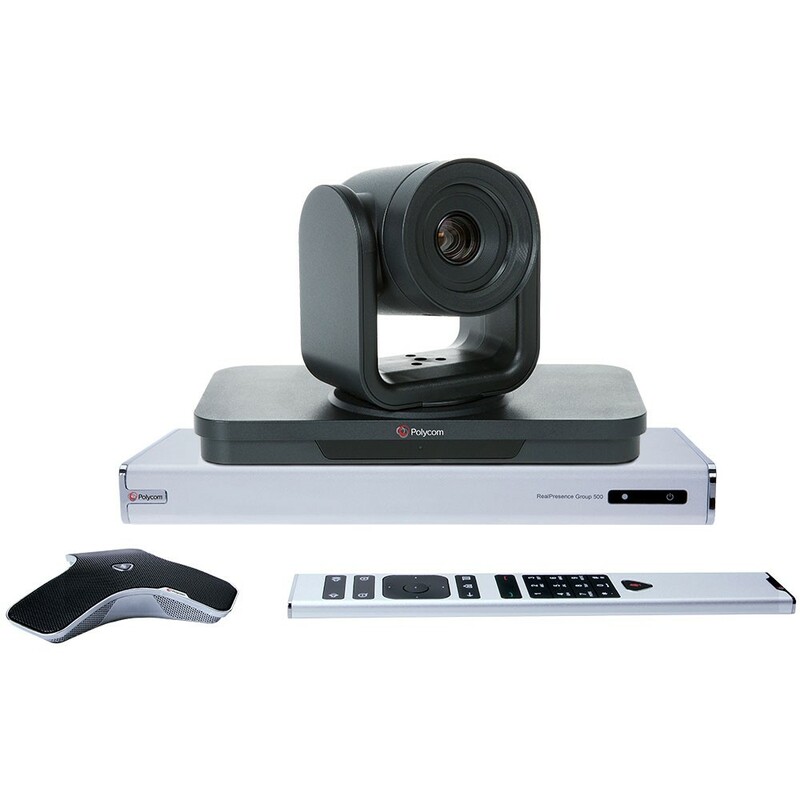 The Group 500 is a great video conference system for Skype for Business, Zoom, GoToMeeting, and other cloud conferencing services. 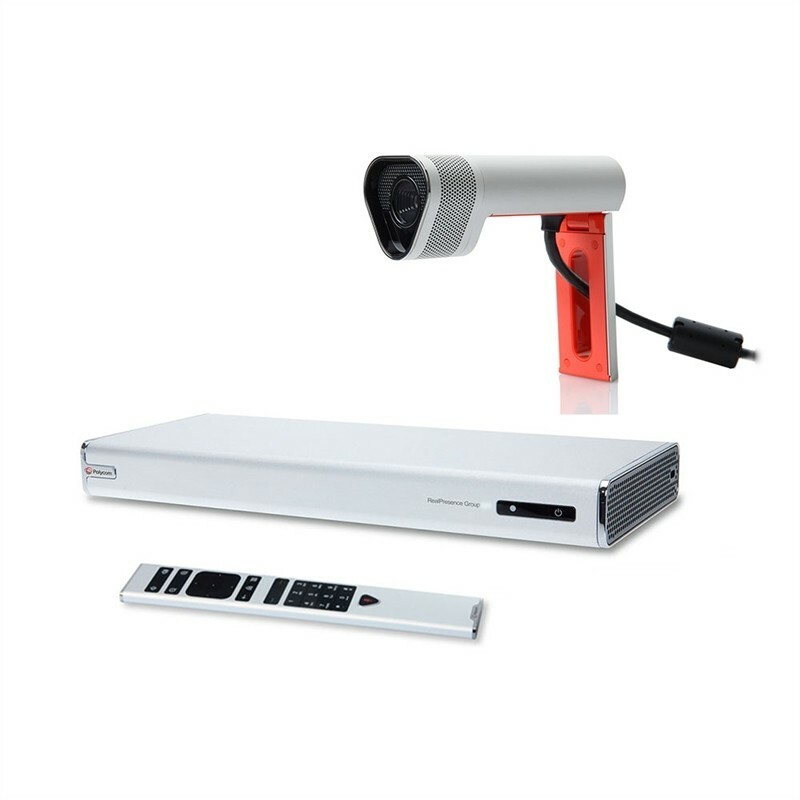 The Polycom Group 500 with EagleEye Acoustic camera is optimized for medium sized conference rooms. The 1080p EagleEye Acoustic camera mounts to your display and has a built-in stereo embedded microphone plus 2x electronic pan-tilt-zoom. 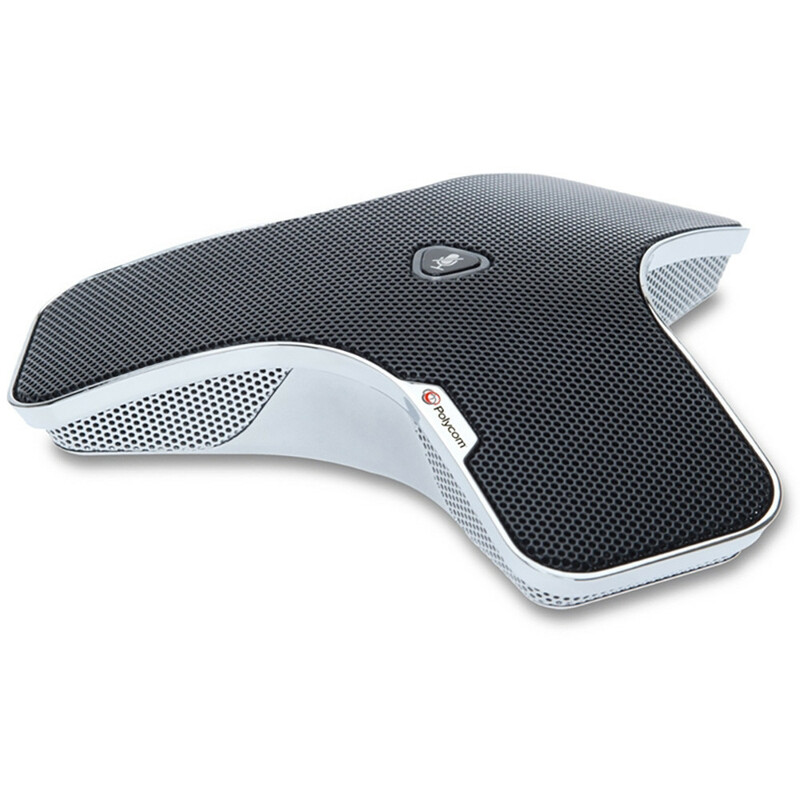 The Group 500 can connect to two monitors, a single HD camera, three tabletop microphones, or Polycom’s high-end ceiling microphone. This system is 720p HD out of the box which looks amazing on the screen and can be upgraded to 1080p as an option for an even greater video quality. If you need multi-point calling capability, add the 6-site multi-point option to your order before adding the item to your cart. Enabling this option will allow you to host calls with up to five other sites. 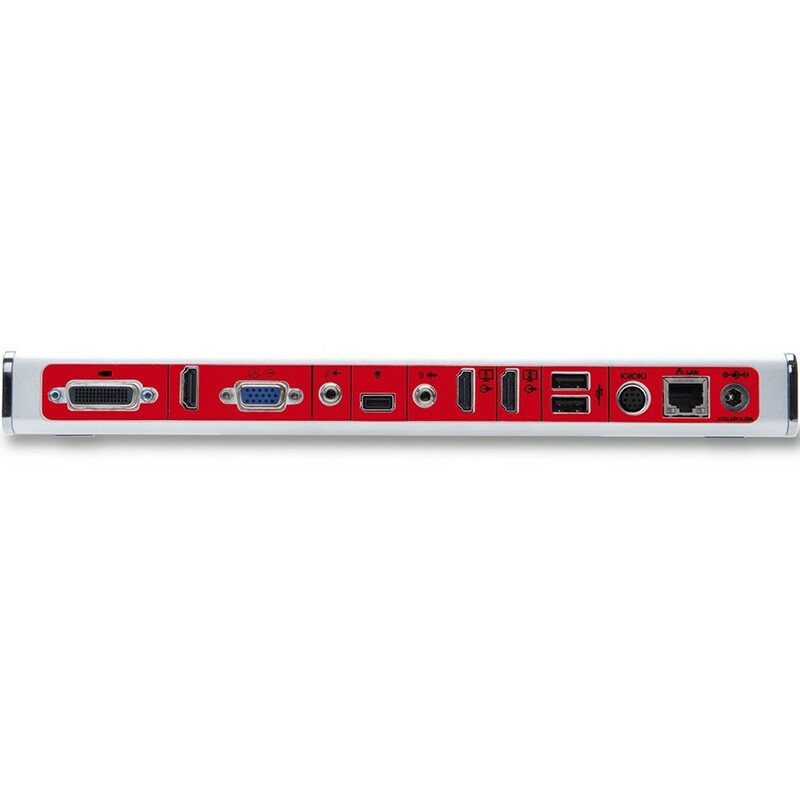 The Polycom Group 500 has a HDMI port that you can plug your computer directly into to share computer content. You can also use Polycom’s People + Content app to share content as well. Our tech support service is included for free with all purchases and our staff is always happy to help our clients. Setting up your Group 500 is as simple as plugging in a few cables and going through a few quick configurations. If you do have any trouble or you think that your system isn’t working correctly, don’t hesitate to give us a call. One of our tech support agents will be available to troubleshoot any issues you’re experiencing. They have years of experience and have demo systems in front of them to make the troubleshooting process faster and do test calls to make sure your equipment is working properly. You can even call 1-866-323-5773 and ask questions before you order. 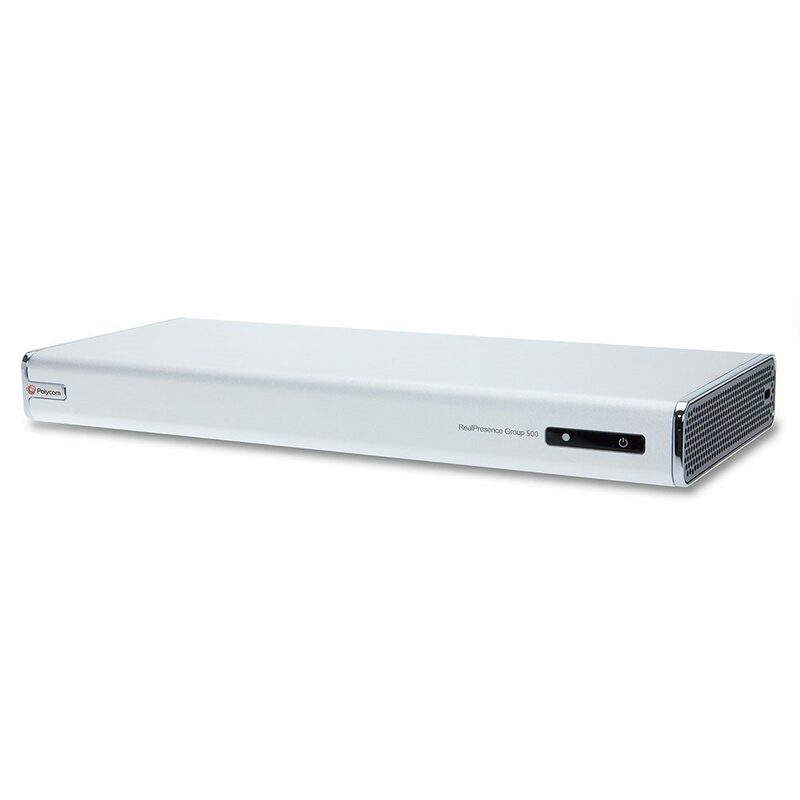 Your Polycom Group 500 will be able to connect to most H.323 and SIP systems such as CISCO, LifeSize and Polycom, right out of the box with a quick setup. 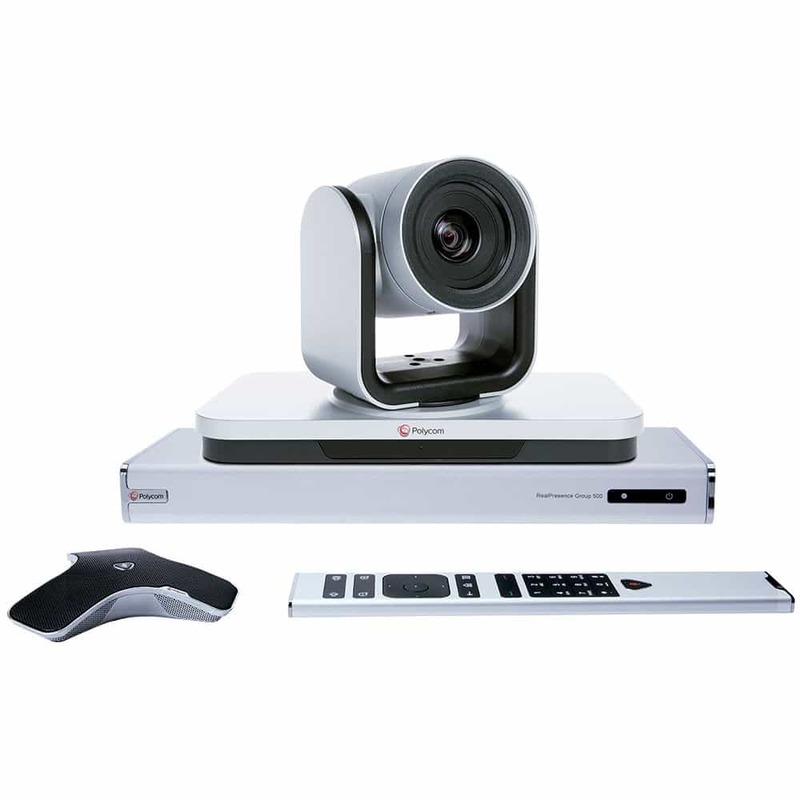 If you are wanting to use the RealPresence Group 500 with web conferencing services such as Zoom, BlueJeans, GoToMeeting or LifeSize Cloud we can help you with that as well. The Group 500 can also be integrated with Microsoft Office 365 Skype for Busines with the purchase of a Skype for Business license. Just select the Skype for Business option and add the required Polycom RealPresence Touch Control when you place your order and your Polycom RealPresence Group 500 will be able to be put into Skype for Business mode which allows you to easily place and join Skype for Business calls through invites and directory calling. 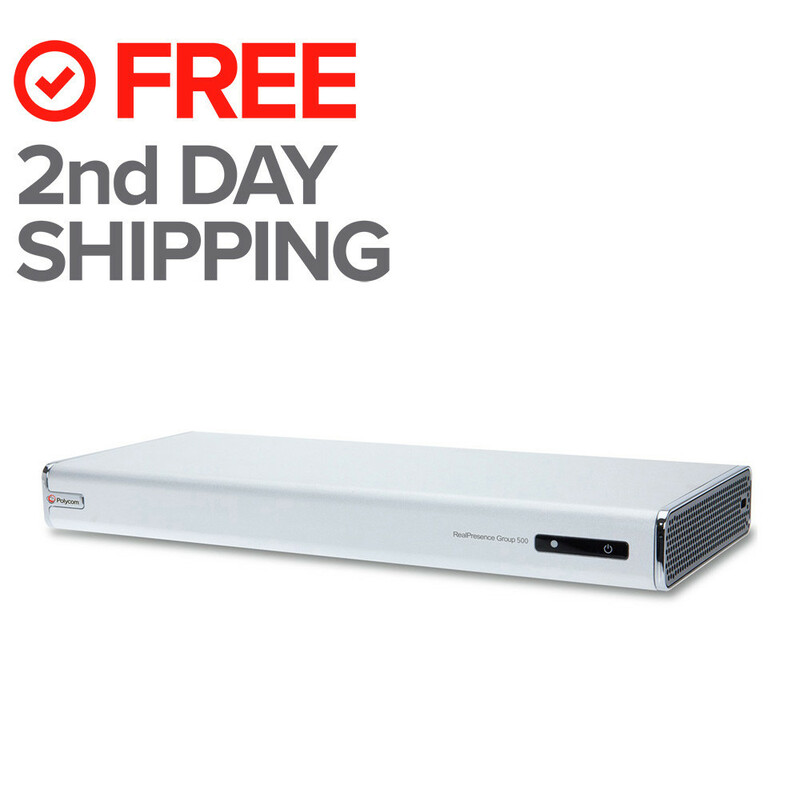 Feel free to contact our Experts at 1-866-323-5773 to ask any questions you have before ordering.